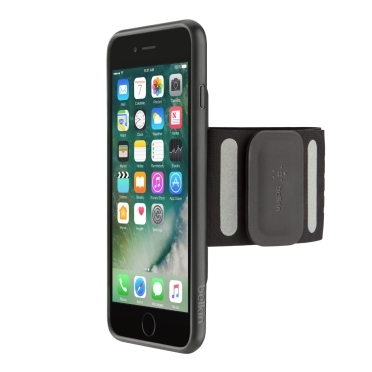 Fitness Armband for iPhone 8, iPhone 7 is rated 3.0 out of 5 by 4. Beating that personal best is no small task. 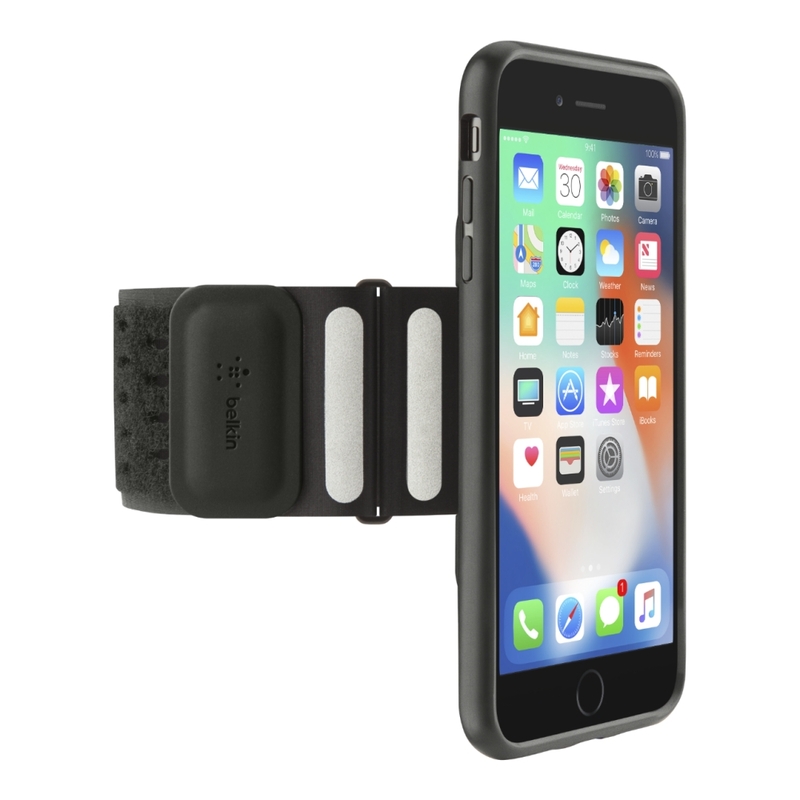 The Fitness Armband holds your iPhone securely every step of the way, so you can focus 100% on your performance. A non-slip, thin profile strap provides a secure fit that stays put even through strenuous workouts. Perforated stretch material stays breathable for added comfort. Full access to the haptic sensor in your iPhone makes it easy to access features at any point, including taking photos. 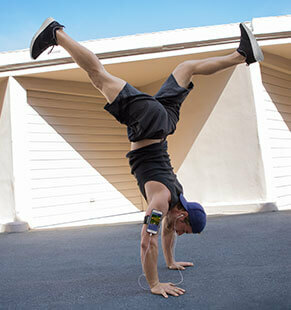 Sweat-resistant and easily hand-washable, the Fitness Armband is the perfect companion whatever the workout. The ultra-thin fabric strap threads through a durable metal loop, securing at the perfect length to hug your arm closely. The perforated material allows air ventilation to stay breathable, and stretches to move with your arm for added comfort. 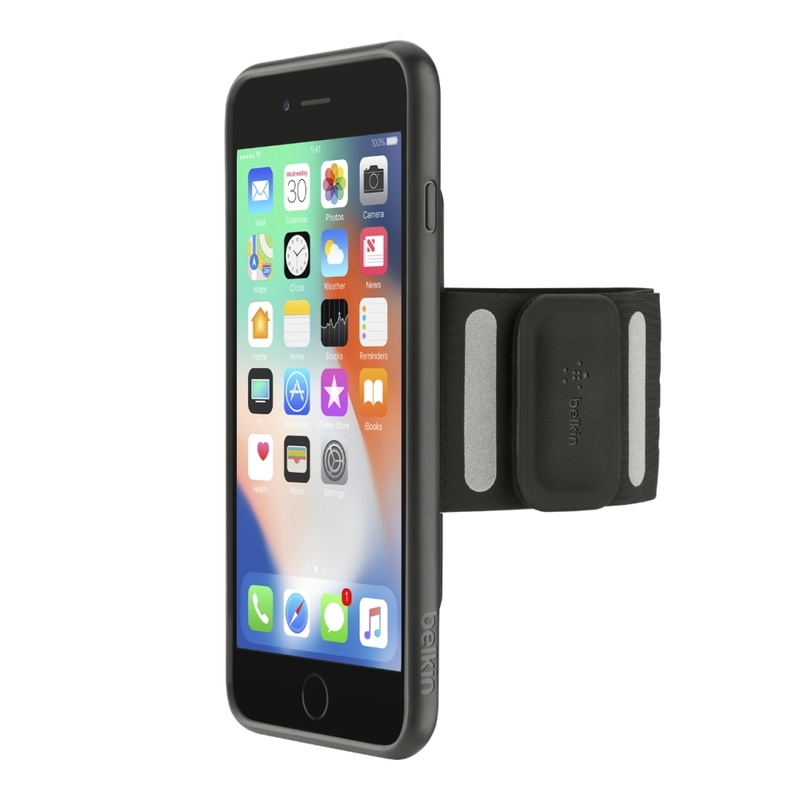 The protective case for your iPhone is rigid to provide ultimate safety for your device, but the back panel is padded for soft cushioning against your skin. 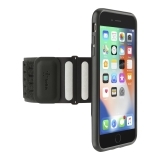 The ultra-minimal design eliminates the bulkiness found in many armbands, to deliver a low profile yet high-performing armband barely bigger than the iPhone itself. Further design details ensure full access points to all ports, screen and home button for maximum functionality when in use, including taking photos. The result is slim, lightweight and minimal, allowing you to carry your iPhone while leaving your hands free. 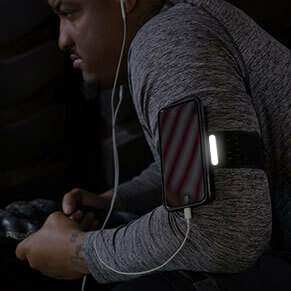 Reflective accents on the armband provide increased visibility in low light and added safety for the wearer. Slim Case — provides drop protection without interference. Full access to the display, home key, push buttons, cameras, speakers and dock. Reflective Accents — 3 accents provdie visibility for safety in low light. Metal Loop — thin yet strong. 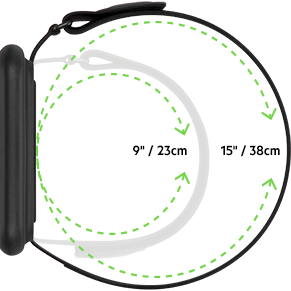 Low Profile Velcro Loop — elastic and lightweight material enhances comfort fit of strap. Velcro Hook — 2mm inset prevents scratching even if patch is misaligned. 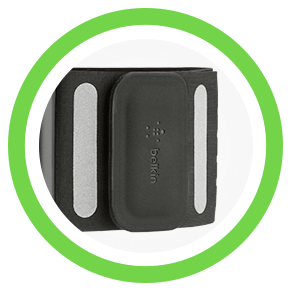 Badge — prevents the strap slipping out of the loop for added security. 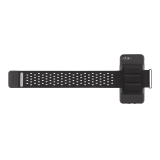 Perforated Strap — allows air flow to your arm for added comfort. Lycra — double layer Lycra for thin, lightweight, comfortable fit. 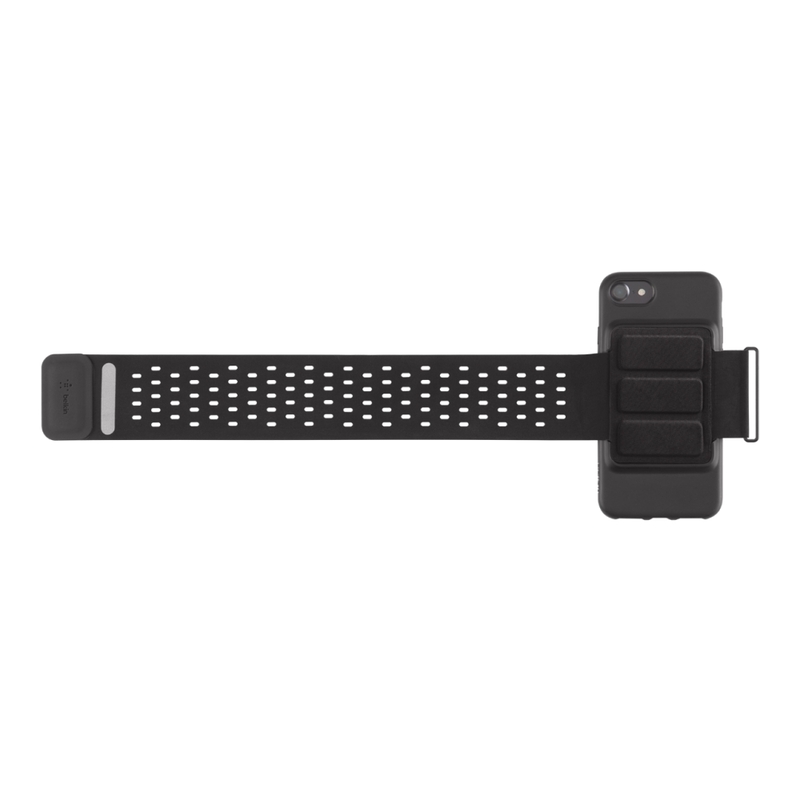 Hard Panel — provides structure to support iPhone and secures bond to the arm strap. Back Pad — soft foam padding maintains shape and comfort. Rated 5 out of 5 by gesh from I love this cover! I attached a bungee keychain to the side latch, and now it can be attached to my purse. I love this feature! Rated 1 out of 5 by Jean r from Don’t buy this Because of the bad quality of the velcro, this nice armband (yes its nice) Is now unwearable after a few month. I like the armband but its walmart quality. 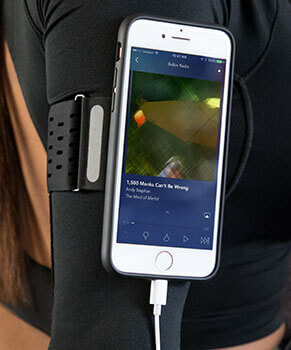 Rated 5 out of 5 by Praveen Sinha from Best armband in the market There is no product in the market like this. 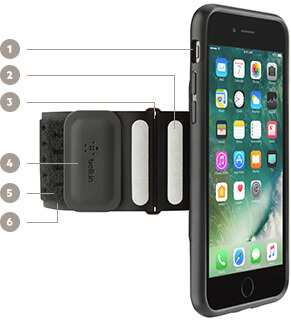 Most armbands require you to stick your iPhone in a bulky pouch and then strap it on. 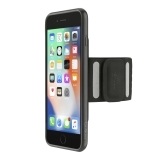 This one has a very good quality strap attached to a good quality iPhone case. It has no bulk and you touch the screen directly to avoid any issues with not being able to control the iPhone because of a cover on the top.